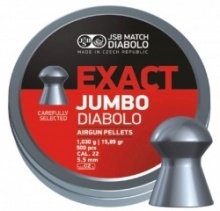 The JSB Exact King .25 air rifle pellets are carefully designed and produced and are hand picked to maintain very high quality. They are a middle weight pellet at 25.39 grain. which makes them suitable for most air guns.